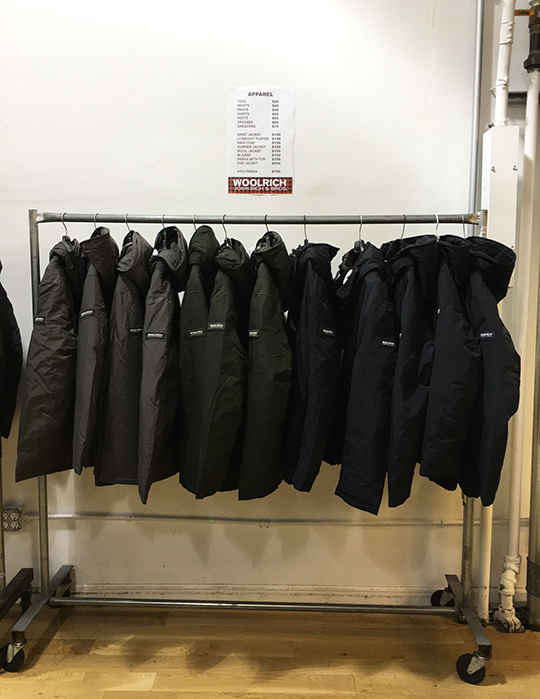 The down parka: it's the constant companion during arctic winter, the protective layer we all reach for in harsh climates, the low maintenance staple that requires almost no care. Thrown over gym clothes, worn when running non-stop errands, and even paired with strait-laced business outfits, the down parka truly is your cold weather BFF. 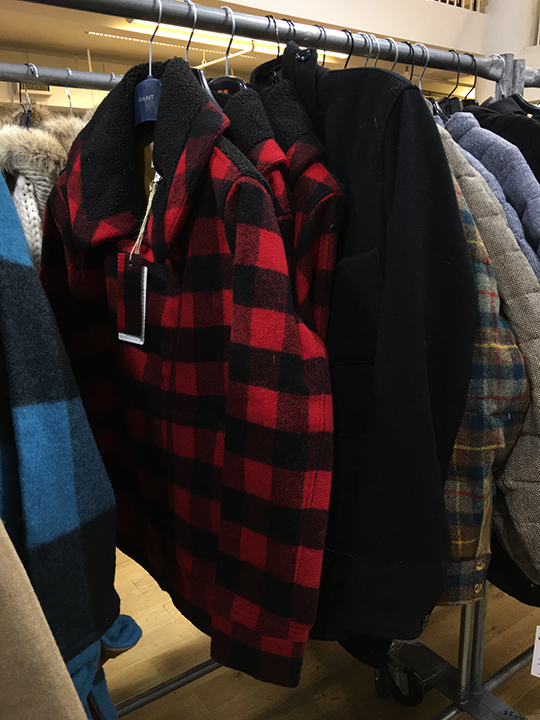 And while brands like Canada Goose and Moncler are considered the sartorial front runners, Woolrich's puffers should not be underestimated as they have been the purveyor of outdoor clothing since 1830 and know a thing or two about keeping you warm in whatever weather Mother Nature can throw. 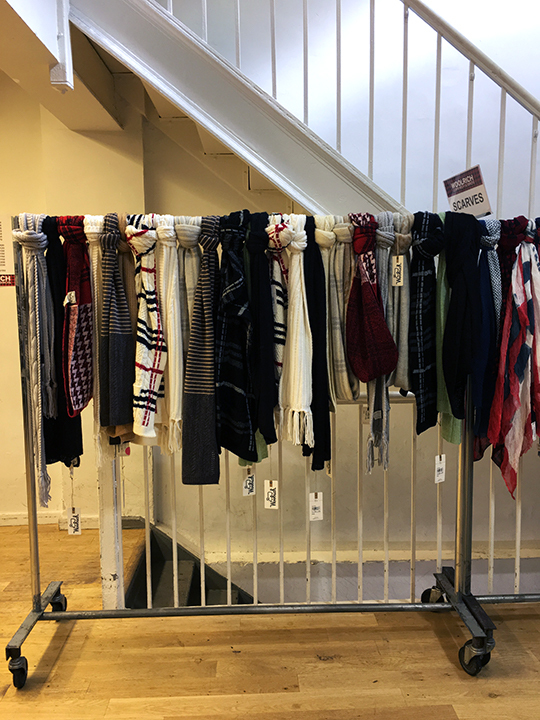 Luckily for bargain hunters, the company is holding a sample sale this week in NYC before the cold weather permanently makes its way here. Therefore, I made my way to Midtown to see if the event is worth your time and money. So, let's get down to the details! 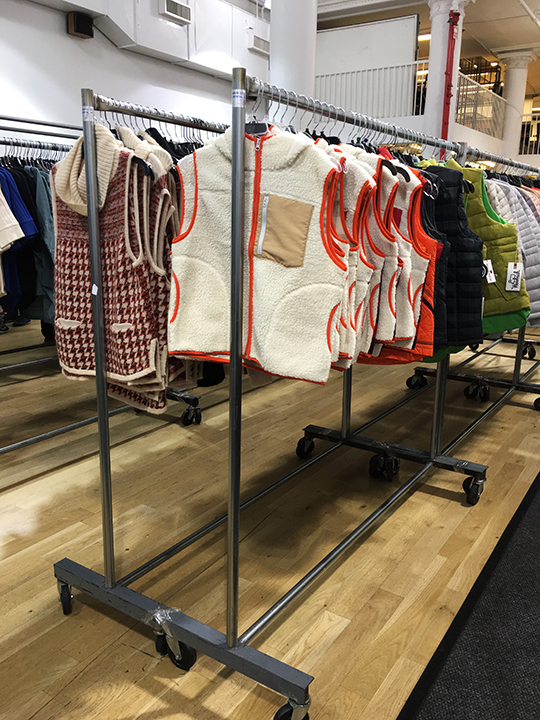 When compared to Woolrich's previous sample sale in March of this year, prices on outerwear remained the same while other types of clothing (t-shirts, bottoms, dresses, and such) saw a slight decrease. This time around, tees were $20, skirts were $40, pants were $50, shirts were $50, vests were $60, dresses were $60, and sweaters were $70. 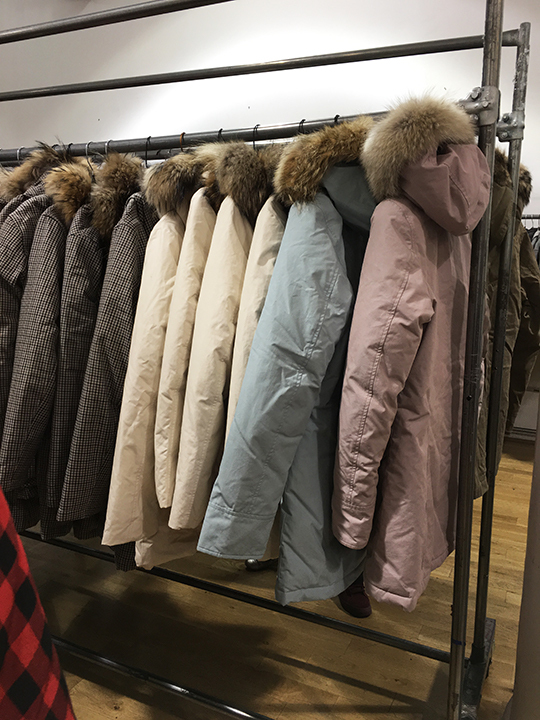 Outerwear pieces such as lightweight puffers were $120, parkas with fur were $350, fur jackets were $550, and jackets were $150. 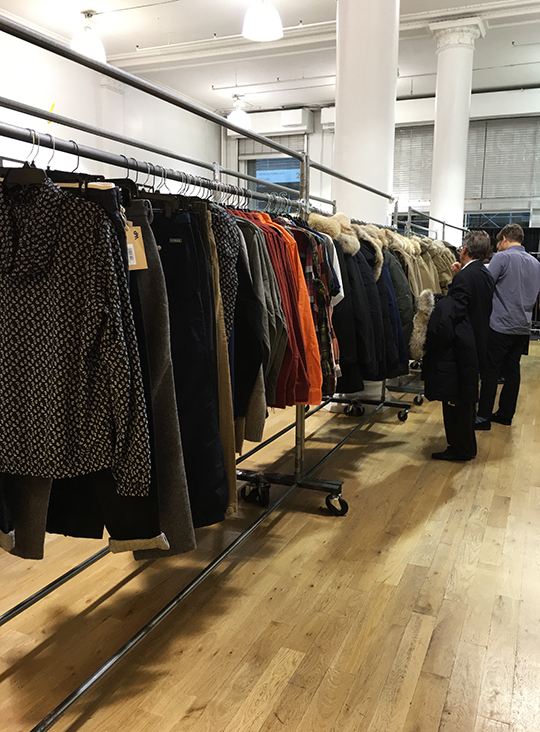 While prices were good, I did notice the selection (especially women's parkas) was not as diverse or generous as their last event. 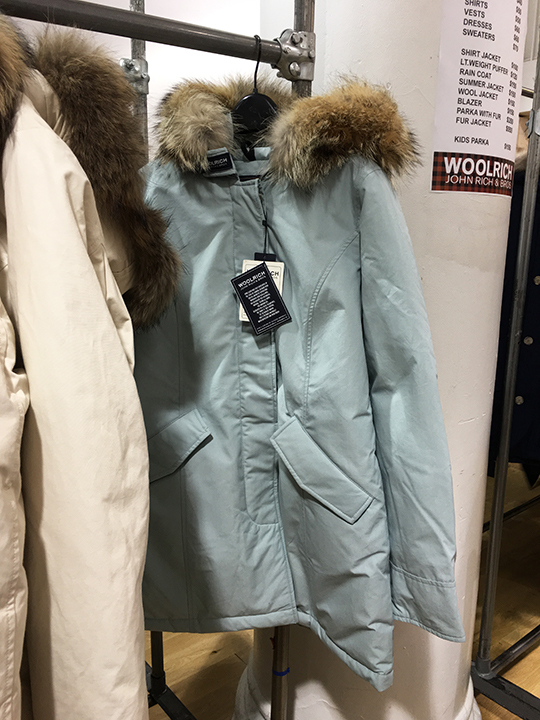 For instance, at their March sale, there was a much wider collection of their signature women's Arctic Parka. This month, not so much. 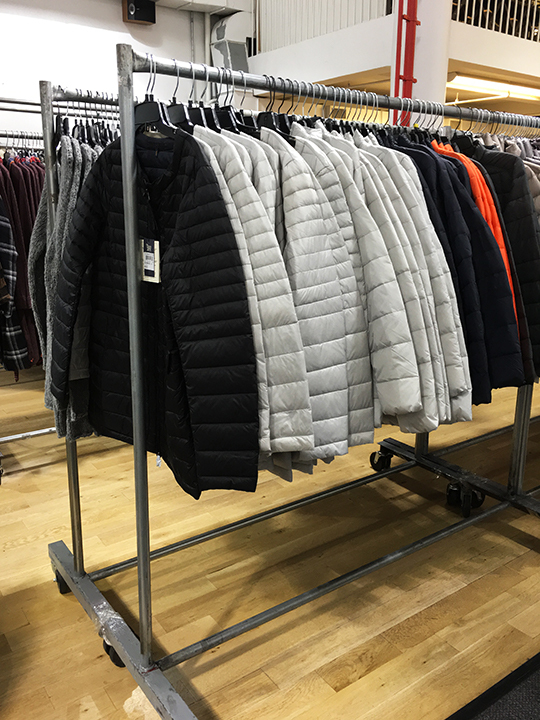 The men's merchandise had a much bigger inventory of winter outerwear and puffer coats than women's. 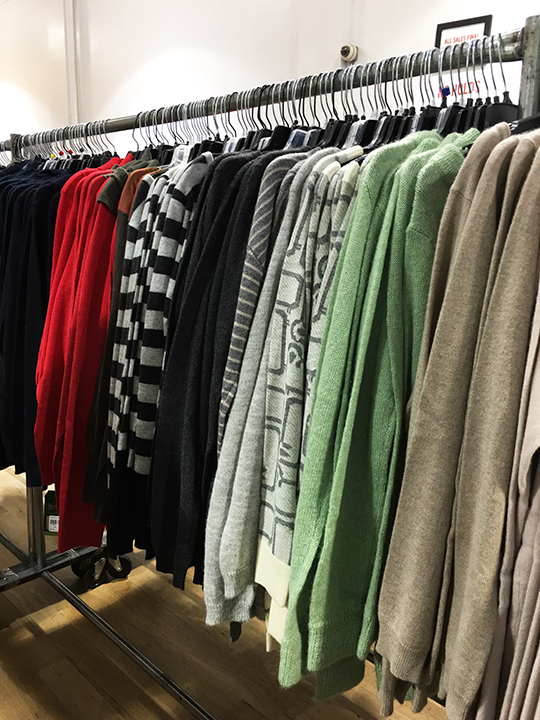 In addition, the sale carried a bounty of wool sweaters, shirts, pants, and tees for male shoppers in sizes small through x-large. 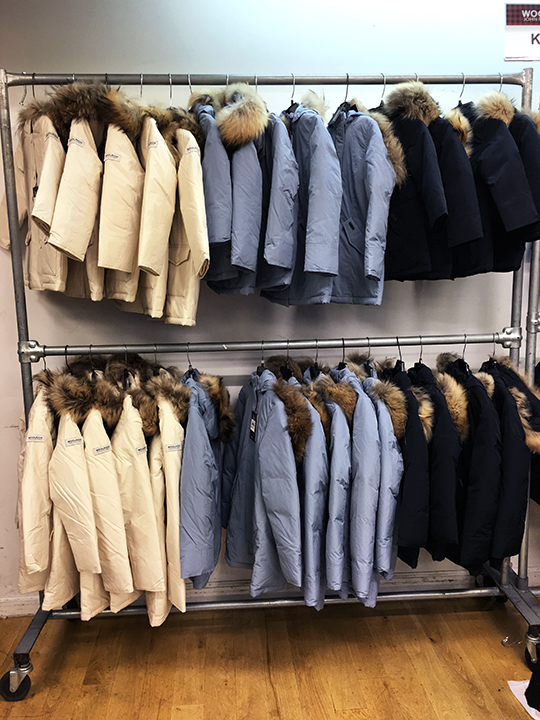 Situated in the back and placed on multiple double racks were parkas for children. 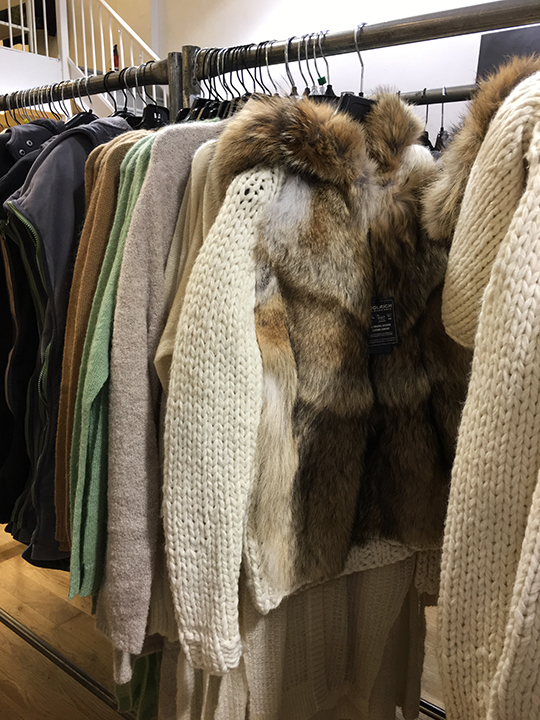 There were fur-trimmed styles in various colors with prices marked at $150. 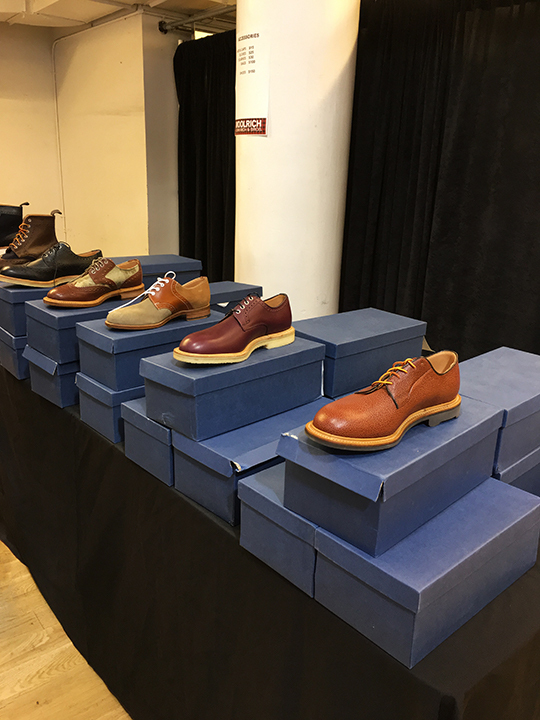 Lastly, the sale's accessories were definitely worth a look, especially for the guys. 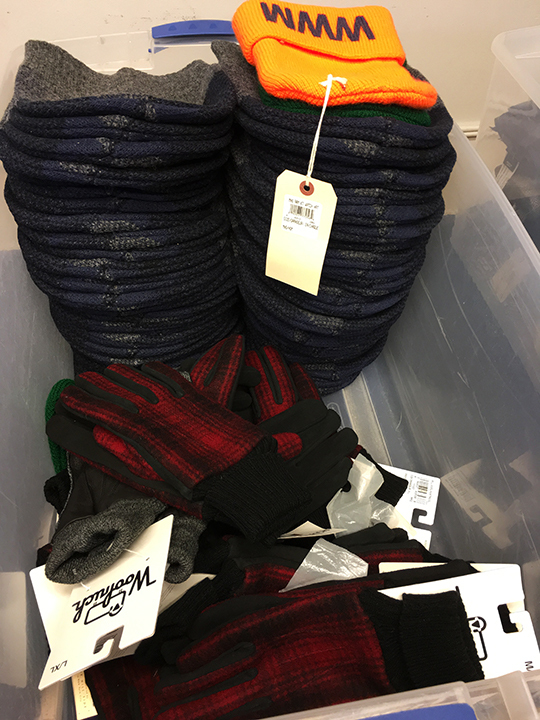 Hats (fur-lined trapper hats, baseball caps, and beanies) were $15, wool/leather gloves were $25, scarves were $30, bags were $100, and shoes (men's lace-up oxfords, lumberjack boots, and The Hill-Side sneakers) were $150. 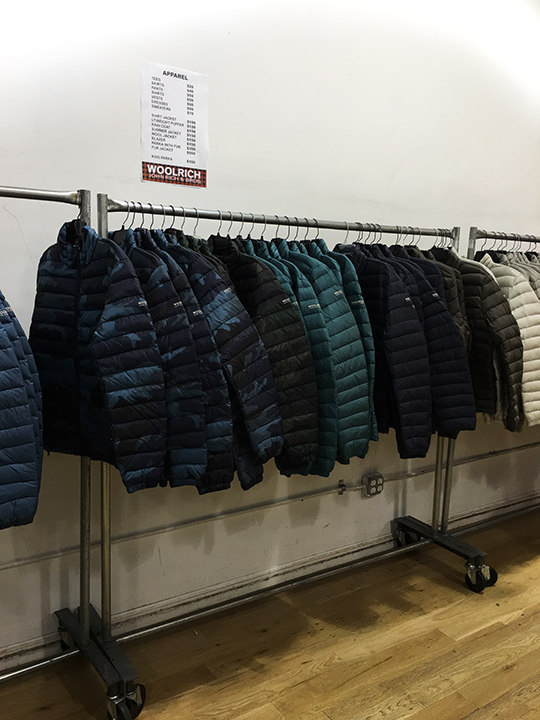 The arctic weather may be a couple of months away, but this week's Woolrich sample sale is a nice opportunity to grab deals BEFORE the weather changes for the colder, so do check it out if your closet is more summer-ready than winter. 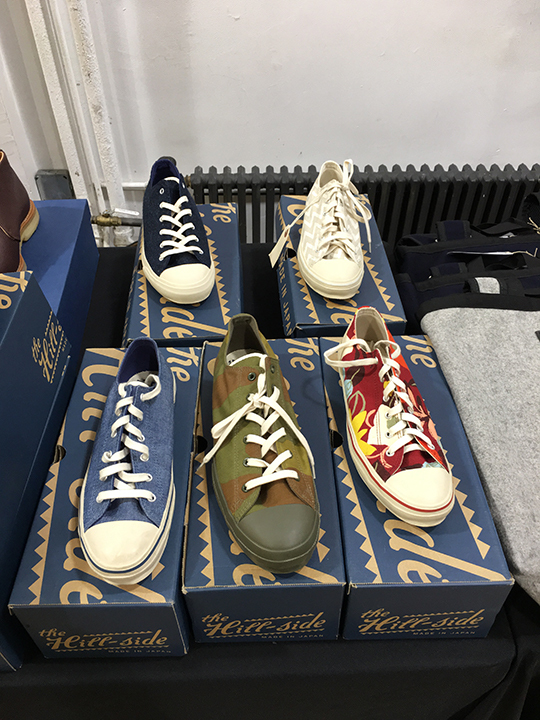 Finally, scroll down to see more photos and check out the complete price list at the end of this article. Thank you for another great review Mizhattan! The selection doesn't look very appealing to me. I guess I don't have to be rushing over there. Thanks for saving me my morning! Yes, this isn't a "rush over now" sale. It's only good because winter isn't here yet, but you can save on some winter gear before it does arrive. Hi Mizhattan! 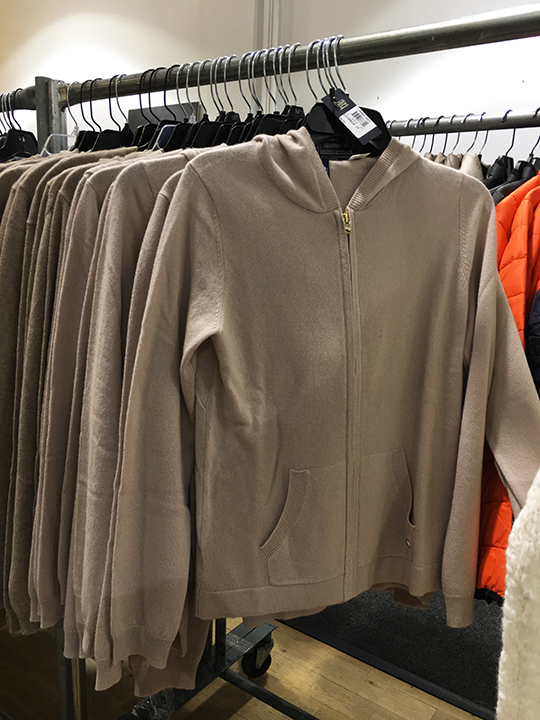 How much was that beige sweater with fur going for (7th picture down). Hello Mizhattan. 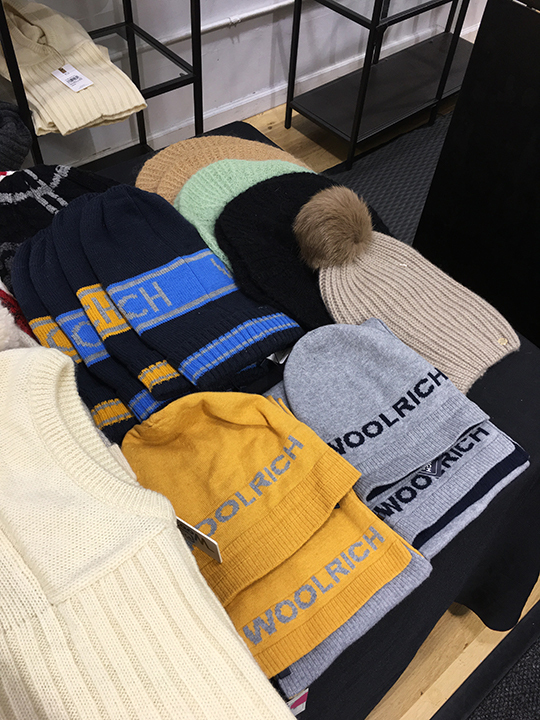 I noticed the orange Woolrich Woolen Mills beanie, was there anything else from the line? Thanks. Yes, there were WWM New Era sheep baseball caps in several (5?) colors. 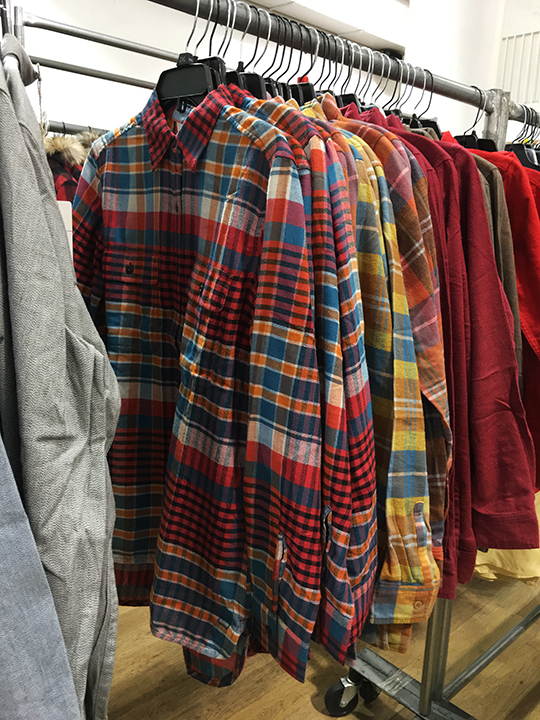 I also spotted a few WWM shirts and jackets in buffalo check and heritage plaid. hi mizhattan, I was wondering if there were any black, grey or navy women parkas. Yes, I saw black and navy parkas and puffers. You should note, the outershell was of a shiny nylon material - not for everyone's taste. I found the selection disappointing. The women's parkas were very limited in style and sizes. Seemed like they could be just leftovers from the sale earlier this year. The light down jackets seem too expensive at $120, and nothing really special. 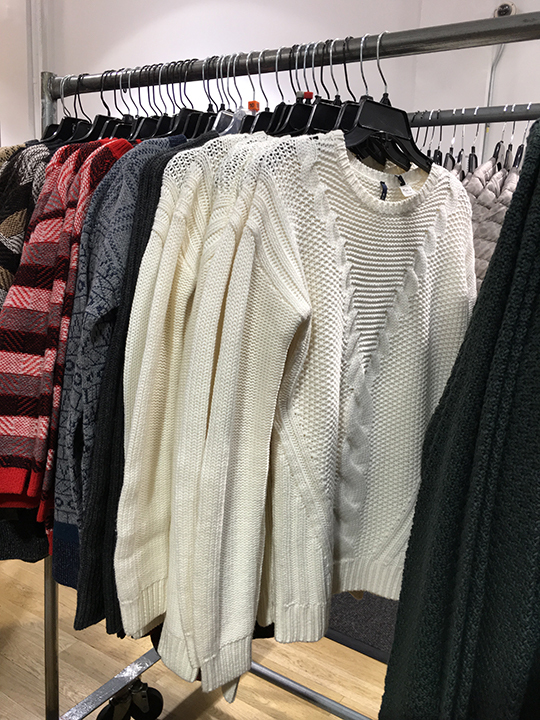 The sweaters weren't bad, but $70 is too expensive for the quality they offer. I don't think the sale is worth it unless they really slash the prices. Oh, and the wool coats they had also didn't appeal to me. They were kind of thin and looked shapeless hanging on the hangers, and they seem to attract a lot of lint. Their sale in March had some nice selections, which I didn't see here. I hope their sale at the end of winter is better than this one. You make some great points. Thank you for sharing your thoughts! Hi Miz, in the 12th photo down from the top of what looks like mens hooded parks (no fur) do you recall what price category they fell into? Thank you! Those were men's parkas and they were $350. Thank you for the quick response on the parkas!! Hi Miz! thank you for the great review! The second picture from the top, is that women's parkas with fur? how much is it, $550 or $350. Thank you! Thank you for reading! Yes, those were women's parkas with fur trim. They were $350. If I remember correctly, the pale green was an Arctic Parka in large and the pale pink was an Arctic Parka in medium and the cream ones were various sizes. Hi Miz, do you know if they'll be restocking throughout the sale? Thanks! Was told by an SA that all of the inventory was out on the floor. 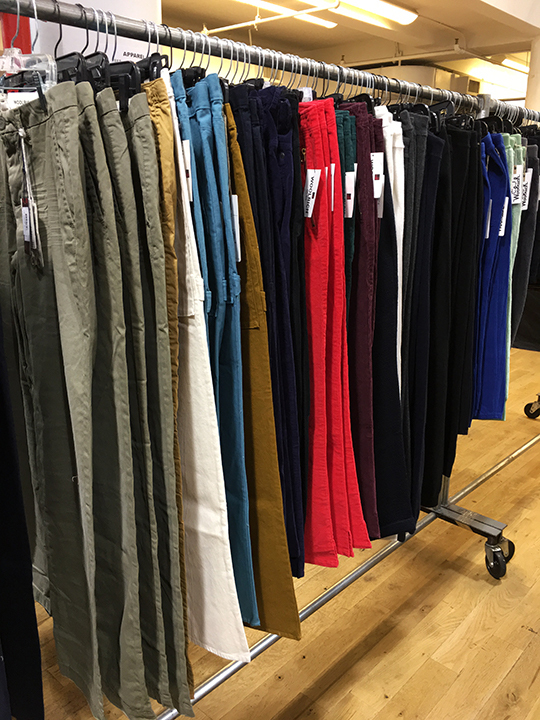 SALE UPDATE (10/7): Further reductions have been taken. Everything is now an additional 20% off. 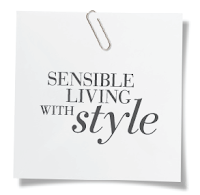 A comprehensive sensible guide for Manhattan's fashionistas, frugalistas, and super shoppers. 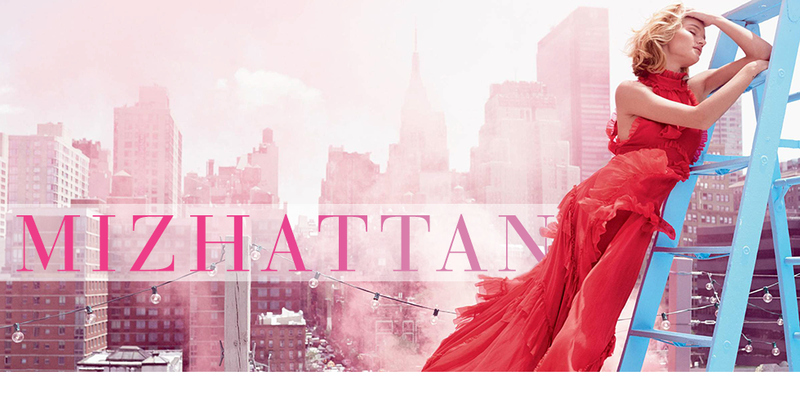 A place where Mizhattanites (Ms, Miss, Mrs) can get the most up-to-date info on luxury & fast fashion shopping, sample sales, and chic fashion inspirations happening throughout this island of "Man"hattan. Feel free to contact me at mizhattan@gmail.com to share your thoughts. Happy Shopping!! All images were created by Mizhattan for specific use on this site, unless indicated otherwise. Those images, not of Mizhattan's creation, will have image credits to the copyright holder's/vendor's site. If you would like any photos removed, please contact me and I will gladly comply with your request. Though, Mizhattan promotes linking and sharing of information, I ask that you do not use Mizhattan's images without permission. To advertise, please email me for rates.